Ahh, cash out from under the mattress is cash in the bank's coffers. Hmm. Deposits, after all, are really loans to banks, handing over that capital for the banks to use in ways you're not privy to. 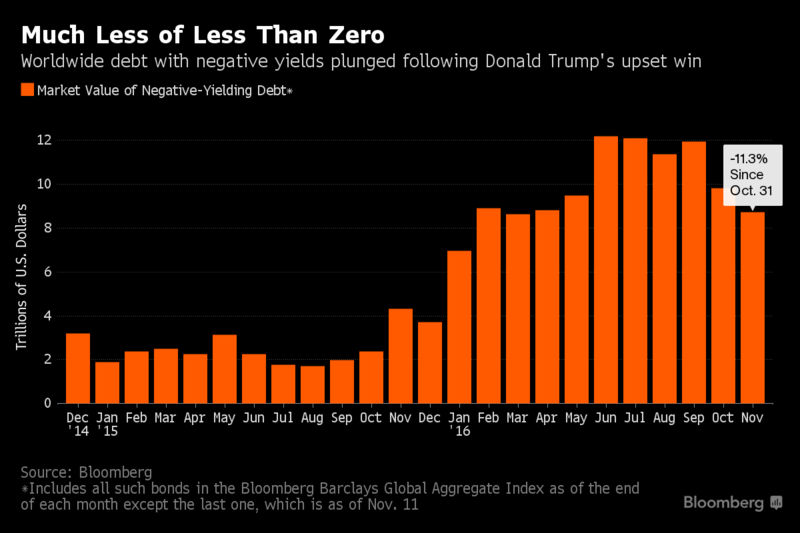 The Trump Effect smashed global negative yielding bonds down! 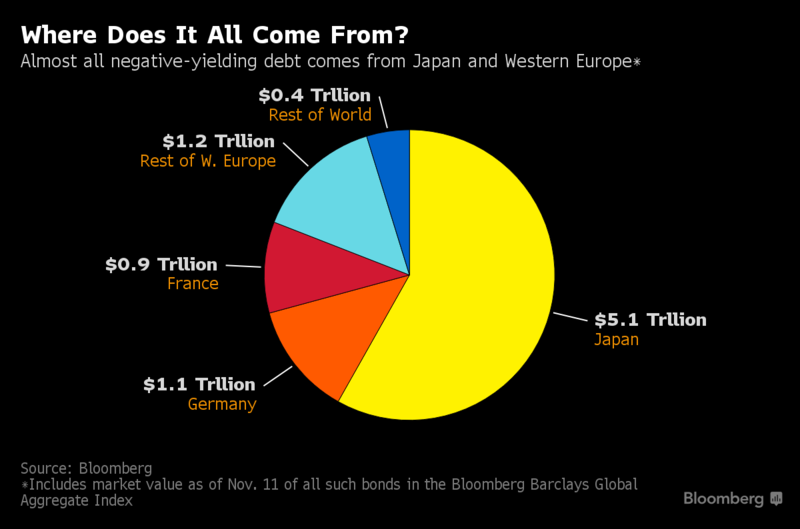 The alarming rise of negative yielding global debt was heading towards 13 trillion. Then Trump was elected and a massive sell off in bonds occurred. 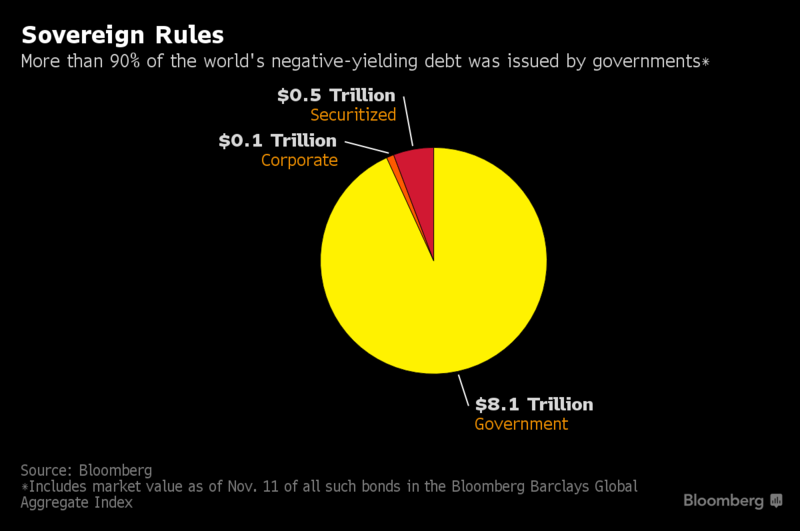 There was a plunge down to $8.7 trillion, which is generally good, but bad for the many bond holders who collectively lost trillions on paper. The war on cash is expanding into a war on every form of wealth that is not government-approved digital money. The false war on terror has given endless emergency powers to governments and supra-national governments like the EU. No comprehensive plan has been brought to bear to actually resolve the alleged out-of-control terrorism, but the powers that be are more than happy to broaden their control over everyone. We can assume that is the point, after 15 years of horrible absurdity. Physical cash and now gold and even prepaid payment cards and bitcoin (which is an uncontrolled form of digital money) are apparently all possible terrorist units of wealth. You better properly explain why you have these, or they may confiscated.